Bitcoin is one of many cryptocurrencies available today. Cryptocurrencies are digital currencies that implement cryptography as a central part of the protocol, in order to establish pseudonymous (or anonymous) and decentralized currencies. Bitcoin uses SHA-256 encryption for both its Proof-of-Work (PoW) system and transaction verification. The security of the bitcoin protocol lies in one of its fundamental characteristics, the transaction blockchain. The blockchain is basically a chain of multiple "blocks" containing transaction history. The blockchain starts with the initial block, known as the genesis block. Transactions and solved hashes add new blocks after this genesis block, creating a blockchain. Bitcoins are stored in wallets, but unlike, say, a PayPal account, these "wallets" don’t actually store the bitcoins themselves. Despite a number of different implementations and formats, generally wallets will contain a public key that is used to receive bitcoins (similar to a bank account number). It also contains a private key that is used to verify that you are indeed the owner of the bitcoins you’re trying to spend. Wallets are usually stored digitally, either locally or online, but there are more secure ways to store bitcoins. Your bitcoin "wallets" can be printed out and stored on paper. A paper wallet is a slip of paper with both your private and public keys printed on it. There are also hardware wallets, which store key information in offline hardware. The advantage of hardware wallets is in the fact that the key data is stored in a protected area of a microcontroller and that they are immune to software and viruses that can steal wallets stored on normal computers. The bitcoins stored in hardware wallets can also be used directly, unlike paper wallets, which need to be keyed in or imported to software. Pi-Wallet (pictured below) is one of the few currently available hardware wallets. 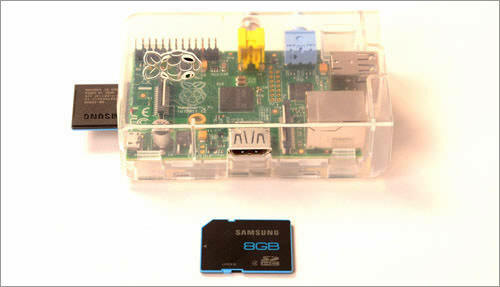 You can even build your own Pi-Wallet. 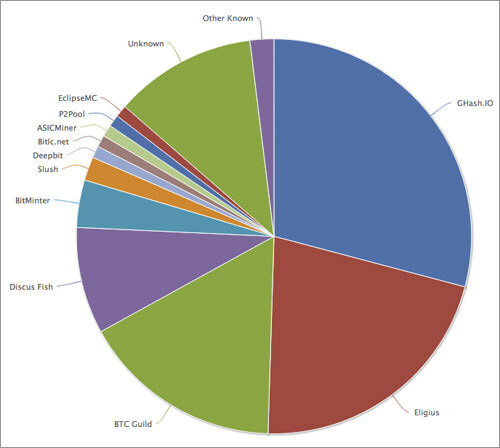 Over the course of 5 months (Sept 2013 – Jan 2014), criminals used a botnet known as Pony to infect a large number of computers, stealing up to $220,000 worth of bitcoins and other cryptocurrencies. Pony was the same botnet that was found to have stolen more than two million passwords and stored them on a server owned by the hackers. Pony infected computers and stole bitcoin wallets stored locally on the infected machines., effectively showing the dangers of storing bitcoin wallets on Internet-connected devices. This isn’t a security breach per se, but it is one of the bitcoin network’s most dangerous weaknesses. When an individual or a group of individuals owns more than 50% of the computing power within the bitcoin network, the network is opened up to the possibility of a 51% attack – the advantage in computing power can be used to fork the main transaction blockchain and commit fraud, including the double spending discussed earlier. While this may seem far-fetched, the bitcoin network was nearly exposed to such an attack earlier this year. In January, panic spread when Ghash.io, a mining pool, began approaching that 50% limit. The situation was resolved without incident, due to miners leaving Ghash.io for smaller pools, as well as the pool’s own decision to stop accepting new miners. While the reaction shows that the bitcoin network can self-regulate, having to rely on miners and pool owners doing the right thing is problematic, to say the least. The distribution of mining power has become less concentrated, but the possibility remains that a 51% attack can still happen. It’s hard to deny that there are indeed security issues with bitcoin. However, a recurring theme is the fact that these security breaches and issues have less to do with the protocol itself, and a lot more to do with the people and services handling and storing these bitcoins. For instance, the inputs.io bitcoin heist and the Pony botnet took advantage of wallets stored online and on Internet-connected computers. Simply storing Bitcoins in an offline savings wallet, such as a paper or hardware wallet, should eliminate the risk of having bitcoin wallets stolen over the Internet. While some of the money lost in the Mt. 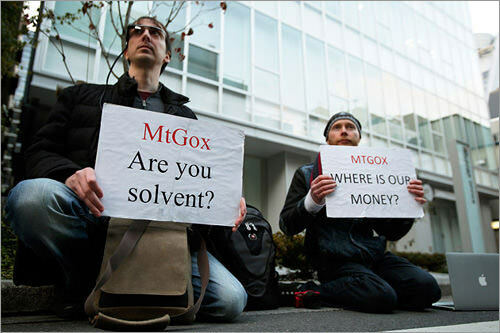 Gox fiasco was indeed from offline wallets, there is conjecture that this was a direct result of how Mt. Gox implemented an automated system which pulled from offline wallets when needed. 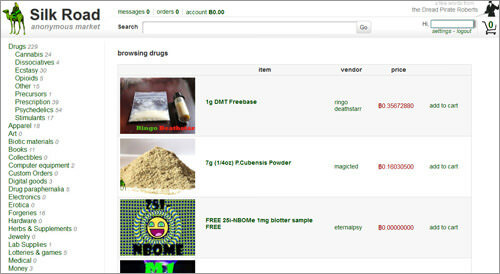 The dangers of once-trusted sites and exchanges such as Mt. Gox and Silk Road 2.0 either being hacked or imploding and going offline are not so easily dismissed, though. The lack of a central authority that regulates bitcoin can be seen as a strength, but it’s also a weakness. For one, it may be a lot more difficult to hold individuals or companies accountable through legal channels. More importantly, though, the unregulated bitcoin ecosystem means that there’s no way to ensure that services and exchanges comply to standards of trustworthiness and security. We trust banks because we know that they’re heavily regulated and can’t be established on a whim. This plainly hasn’t been the case with bitcoin exchanges. Interestingly enough, the fallout from Mt. Gox may just be good for bitcoin. In a joint statement issued by 5 leading bitcoin exchanges, the need for appropriate and independently audited safety measures for custodians, alongside more transparency and accountability, is brought up. It’s conceivable that such measures are exactly what bitcoin needs if it wants to survive recent events and reestablish its credibility and security. Ironically however, these forms of regulation and auditing may end up going against the original spirit of bitcoin. How this paradox will resolve itself, though, remains to be seen.